Custom Plastic Injection Molded Components, Overmolding Diversified Plastics, Inc.
company, all DPI employees are truly dedicated. The highest level of quality and service for close-tolerance, small- to medium-sized custom plastic injection molded components and assemblies. In-house tool shop is equipped to machine prototypes, build temporary tooling, or manufacture production molds. Technical expertise and capabilities, including insert molding and overmolding utilizing both horizontal and vertical presses. 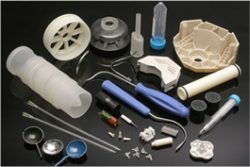 Design and product development assistance to maximize the plastic molding process and to help you get to market faster. End-use parts digitally manufactured economically. 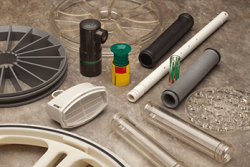 Custom plastic molded and machined parts and assemblies. Medical, aerospace, industrial OEM, filtration, defense and more. An employee-owned company, Diversified Plastics is a leading precision plastic injection molding and contract manufacturer. 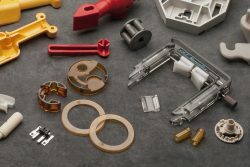 We provide small- to medium-sized custom plastic injection molded and digitally manufactured components and assemblies for a wide range of applications. In addition to manufacturing, we offer complete value-added services, including design assistance, 3D injection molded prototyping, decorating, assembly and clean room packaging. 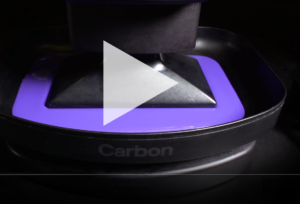 We have experience working with a wide variety of injection molding grade resins and exotic materials. WHITE PAPER Every mold transfer is a challenge. Transferring tools from one plastic injection molding company to a new supplier, with uninterrupted production, requires up-front planning and effective communication for a successful outcome. This white paper provides steps to take when transferring tools. Congressman Erik Paulsen Visits Diversified Plastics, Inc. Congressman Erik Paulsen visits with Roger Vang, CFO of Diversified Plastics, Inc. to discuss tax reform and what it means to businesses in the United States. Paulsen and Vang also discussed the advantages of Diversified Plastics employee owners through their employee stock ownership plan (ESOP) program. Diversified Plastics, Inc. featured in video for new ad campaign called, “Built in Brooklyn Park”. The campaign will focus on manufacturing and products made in Brooklyn Park. Its intent is to encourage economic growth in the area. Diversified Plastics, Inc. has been named as a finalist in the Best in Class – Mid-size category for the 2017 Minnesota Business Manufacturing Awards. Winners in each category will be announced at the awards gala to be held on Sept. 28, 2017. Annette Lund, vice president at Diversified Plastics, Inc. providing insight as a member of an influential panel of women in the plastics industry at ANTEC 2017. This was the first Women’s Networking Breakfast held at ANTEC the annual conference for the Society of Plastics Engineers (SPE). Watch our new video. It provides insight into Diversified Plastics, Inc. plastic injection molding and contract manufacturing capabilities, facilities and equipment.